I finished a translation of an article ’Kistjes van Kick?’. 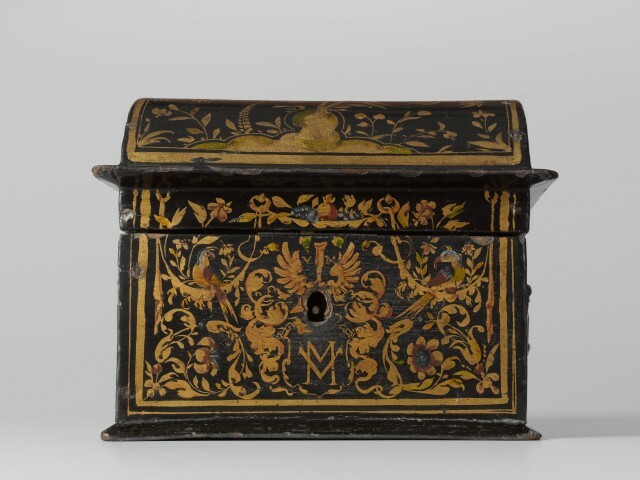 It was written about one of the first examples of a lacquer chest imitating Japanese lacquer ware in Northern Europe, which Willem Kick made in 1618. I cannot find the exact points of which part were influenced from Japanese lacquer, however, I knew much about the construction of the chest and ingredients of the lacquer pigment. It is a very interesting article.